Woodworking bucket lists are a frequent topic of conversation amongst woodworkers. Inevitably the subject comes up when we get together and we’ll find ourselves comparing notes as to what’s on it and why. I know I’ve shared my own a few times, including on episode 71 of Wood Talk back in 2010. Projects that almost always seem to show up on everyone’s list tend to include chairs of all sorts, especially sculpted ones such as those inspired by Sam Maloof. Followed by things like beds, dining room tables, and most certainly musical instruments. For myself the idea of crafting a musical instrument like a guitar is the epitome of the romantic side of woodworking. Being able to craft an item from which so much joy can emanate sounds amazing to me. Unfortunately, I’m pretty certain I’m tone-deaf, so how could I possibly know if the creation I built is actually more than beautiful to look at? 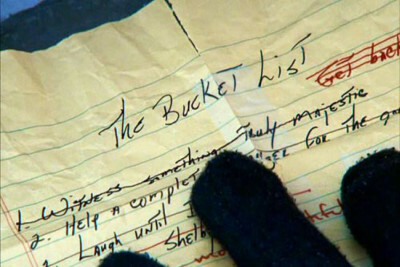 Still, a bucket list doesn’t always mean it has to be successful in every aspect does it? Why am I thinking about bucket lists and musical instruments in the first place?